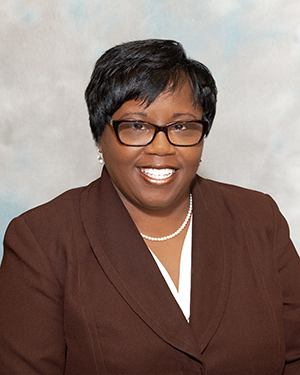 EAST GREENSBORO, N.C. (Dec. 18, 2018) -- Cynthia Downing has been appointed executive director of Career Services and Experiential Learning after serving as interim executive director for the past year. Downing has more than 16 years of experience in career services, including roles as career counselor, assistant director and later associate director for Career Counseling Programs and associate director of Career Services/Employer Relations. In addition to her career services background, she also gained over seven years of experience in human resources and recruiting while working for Pepsi, Wachovia and a staffing firm. Downing is a member of several professional organizations in which she has held leadership roles, including the National Association of Colleges and Employers (NACE), Southern Association of Colleges and Employers, North Carolina Association of Colleges and Employers, National Career Development Association and the National Association of Professional Women. She has participated in corporate training programs with the National Urban League Black Executive Exchange Program (Florida), Cargill (Minnesota), National Security Agency (Maryland), Milliken (South Carolina), NC Aquarium (North Carolina), Fastenal (North Carolina), Adtran (Alabama), Amazon (Illinois) and Sonoco (South Carolina). In 2011, she was recognized by the National Urban League’s Black Executive Exchange Program as the HBCU Campus Liaison of the Year. She was also awarded the 2017 Student Affairs Outstanding Employer Award and nominated for the University’s Teamwork and Performance awards. Downing earned a bachelor’s degree in Political Science from Howard University and a master’s in Adult Education from North Carolina A&T. She is a certified True Colors Facilitator, Business Etiquette Consultant, Global Career Development Facilitator, Master Career Development Professional and a graduate of the NACE’s Management Leadership Institute.